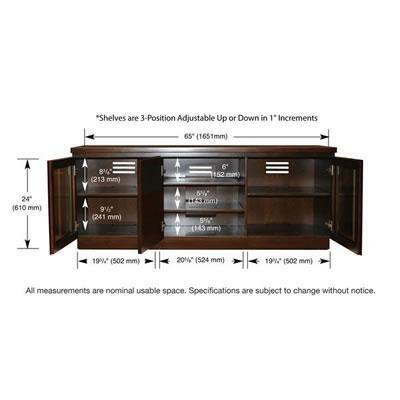 Contemporary styling with a classic look, this finely crafted hand rubbed Espresso finished wood cabinet will display most televisions up to 65" or 175 lbs. 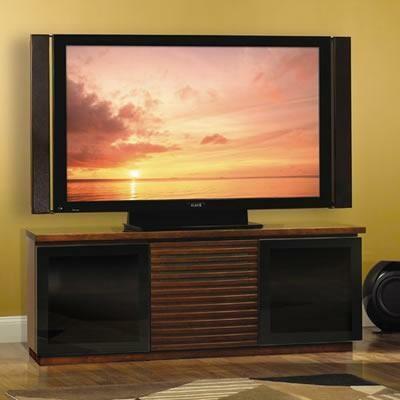 and features tinted tempered safety glass doors with adjustable interior shelves that will hide up to 6 or more audio/video components while allowing remote control operation. 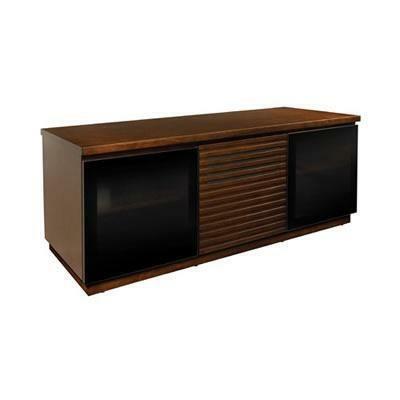 The louver door on the center section will hide a center channel speaker and offers storage or room for additional components. An integrated CMS® Cable Management System helps provide proper air circulation.